According to engine builder Jon Kaase, his company’s new SR-71 cylinder head will out-power any conventional big-block Ford head. Extensive dynamometer tests have demonstrated average gains of 50hp and similar peak gains over best existing cylinder heads. In addition, the usable engine speed range is increased by a minimum of 500rpm. Kaase assures that the SR-71 heads will fit the conventional engine bay, and when installed on a maximum-effort 598cid engine, will produce over 1100hp and rev to 8,000rpm. Despite placing the intake port entries half-inch higher than customary, all Super Cobra Jet intake manifolds fit the new heads. Clearly, higher intake ports are desirable, providing straighter, faster paths for the air-fuel mixture to reach the valves. Raising them while preserving compatibility with conventional intake manifolds is achieved by extending the port entry face toward the valley area—the head is wider. On the exhaust side, dimensions are stock Super Cobra Jet / Kaase P-51. 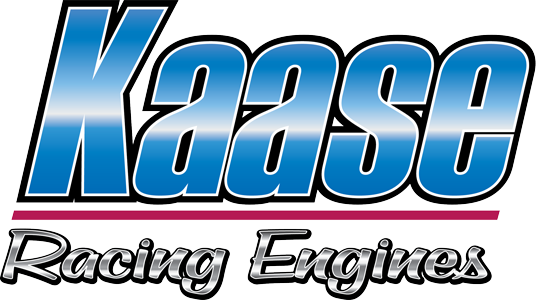 The entire CNC-machining process is performed in-house on Kaase Racing Engines’ new 5-axis Hurco equipment. The intake and exhaust valves are of stainless steel, measuring 2.375in and 1.760in respectively, with valve shapes designed for maximum flow. Also worth noting, these new cylinder heads have adopted stronger rocker-stud bosses. Similarly, high quality CHE bronze guides are employed, and the valve seats are of a unique alloy from Durabond. The CNC-machined combustion chambers provide a capacity of 70cc. Another factor that might catch the attention of the astute observer is the centrally located spark plug position. Convenient though less visible is the revised mounting position of the valve cover, which is slightly modified to provide more exhaust spring clearance. Roller cam heads use Manley valve springs, part number 221443. Lastly, Kaase’s China Wall spacers (pictured at left) raise the intake manifold above the cylinder block, aligning manifold ports with head ports.